STOCKHOLM -- The receivers for bankrupt carmaker Saab said they are are talking with several possible bidders and would like to sell the Swedish company as a whole, but there have been no formal bids yet. Chinese group Zhejiang Youngman Lotus Automobile could make a fresh bid in the coming week, sources have told Reuters. Brightwell Holdings, a Turkish private-equity firm, has said it plans to bid for Saab. Indian utility vehicle maker Mahindra and Mahindra is also interested in Saab, Swedish newspaper Dagens Industri has reported. "We have had discussions with a number of interested parties. Some of them are interested in the factory as a whole and some of them are interested in parts of it," Hans Bergvist, one of the receivers, told Reuters in a telephone interview on Saturday. "There have been no formal bids," added fellow receiver Anne-Marie Pouteaux. Neither Bergvist nor Pouteaux would name any of the parties interested in buying Saab or parts of it. "We do have an objective to sell a totality (of Saab)," Pouteaux said. General Motors, which still licenses technology to Saab, blocked earlier rescue efforts, saying it did not want help competitors. 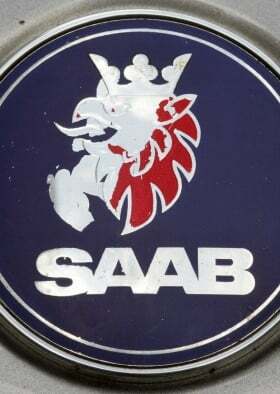 Saab was declared bankrupt in December after rescue efforts by its former owner, Swedish Automobile, failed. Saab hit crisis point early last year after its 2010 sales fell short of target. Its production line came to a standstill in April and it has not made a car since then.